On September 13th 2012, I attended “K45 welcome ceremony” in Thai Nguyen University of Agriculture and Forestry. The event reminded me of myself 3 years ago when I was disappointed and confused about my future: “What am I doing in this university? This is not my choice, it is not famous, my friends will laugh at my face …etc.” And I am now thankful that I am here and enrolled in Advanced Education Program, which gave me a high-level of English studying environment in Environmental Science and Management, helped me get closer to my dream-going abroad. I have just come back for one week from an exchange student program in Edinburgh, Scotland, United Kingdom - an awesome place that changed my life. It was the very end of May - also the hottest time in Vietnam when the temperature came up to about 40 Celsius degree. Conversely, after a 23-hour flight, Edinburgh welcome me with the wind and the sun combined together for approximately 18 degree Celsius, which made me wondering until 1month later: “Is it summer? It is absolutely winter weather in Vietnam!!!!”. However, that did not get on my nerve at all. I met a friendly IAESTE local committee of Edinburgh - Abi, who picked me up from the airport, traveled for 30 minutes by bus to my ordered accommodation in 141 Warrender Park Road, which is a cozy place with a hospitable middle-aged couple who were my landlord for 1 week. Why only 1 week? Because I myself had found another flat which was just a 5-minute walk to Scotland Rural College (SRUC) - my internship office. At SRUC, I worked with Soil and Crop Department, which I actually knew very little about. But now, I am happy that I learnt a lot from there. During my 3-month internship, I have learnt various stuffs as extract DNA, make PCR or grow bacteria and fungi in safety cabinet - those I never have had chance to try before. I have learnt how to be independent and responsible during my internship here. Because it is natural that I make mistakes, but as a student, I was fine under my supervisor’s patience teaching and support. I was very grateful that I had a very nice supervisor who is not only a teacher but also a friend. In addition, I met 2 French girls-my colleagues, who accompany me for most of my time there. They gave me a very good impression about French people. Besides lab experiences, my staying here is also about life experience. Local IAESTE organized loads of trips and activities for us, which helps me a lot in making friend and having fun during my time in UK. My very first trip is to Loch Lomond (Scottish called “lake” is “loch”) when I have tried train for my first time. But my most memorable trip is to Skype Expedition. We - 50 people, spent 5 days in a small hostel beneath the sea where I wish time stopped. I was dying for every early morning waking up looking at the sea from the room window – an undescribable feeling.. Furthermore, we also had an international night where I had chance to try different foods from people from many part of the world: we cooked, we danced, we played games, and we talked together. All that memories I will never forget for my whole life. 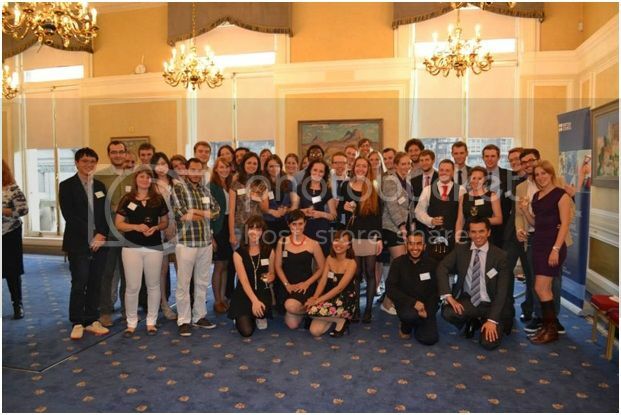 We also had a Summer Reception where we could met all the people from others cities with their supervisors and our sponsor-British Council. Above all of that, I could not have those best memories without friends, who I shared most of my time here by every meeting, dinner, also some little walk around the city center. 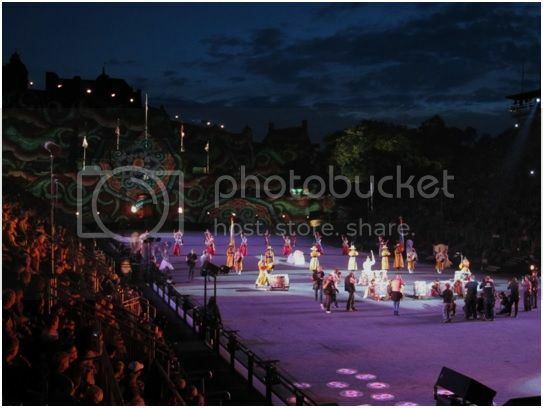 I was really lucky to come here during the Edinburgh Festival - the biggest art festival in the world, where artists from all over the world unite and show their talents. I really love the feelings when walking down Royal Mile, listening to the music, sometimes, stopping to see some little juggleries, comedies or concerts. Three months passed quickly, I have come back to Vietnam and I felt upset because I have fallen in love with the ancient Edinburgh, friendly Scottish people who gave me every morning greetings even when we did not know each other; that is not to mention my friends from all over the world - who I shared summer 2013 together. “See you somewhere in the world” is our words to each others because this is not a goodbye to us. Edinburgh brought us the chance to meet and be friends, the world is small that united us together in this city, who knows, somehow, somewhere we will be reunion.